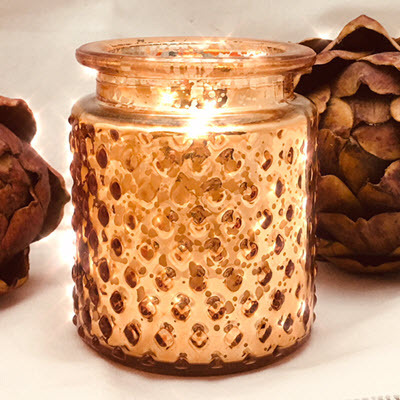 Cedars Candle in Gold Mercury Glass! Capture the essence and scent of the holiday season with this stunning candle, poured in your choice of Cedar fragrance. Container measures 3"wide x 3 1/2" tall.